Ideal for wedding cakes, or any other special occasion dessert that needs slicing and serving. 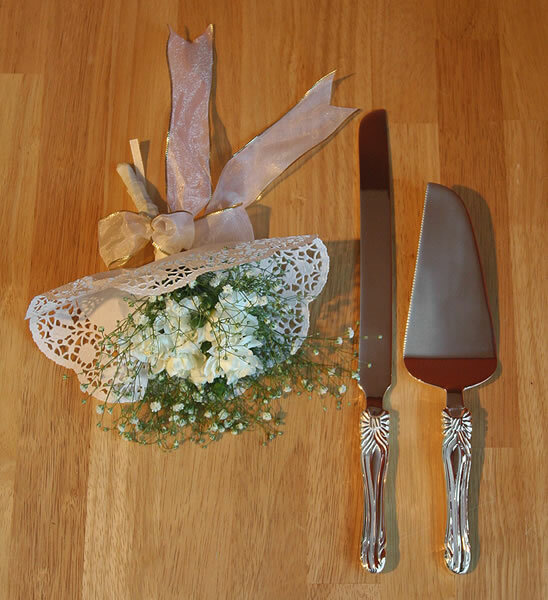 Our charming bow design handle set includes both the cake knife and the cake server. Cast of solid brass with a heavy silver plating, which is treated with an anti-tarnish finish to help prevent tarnishing, so the set can retain it's shine for years to come.